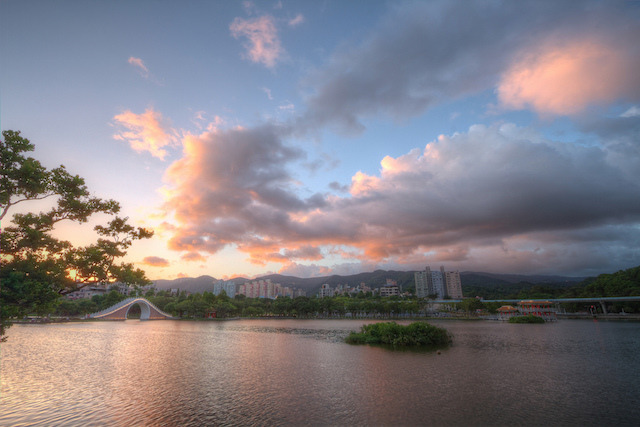 From the technology parks to the lake parks, the shopping complexes to hiking trails, few districts wed natural and manmade sites as convincingly as Neihu. 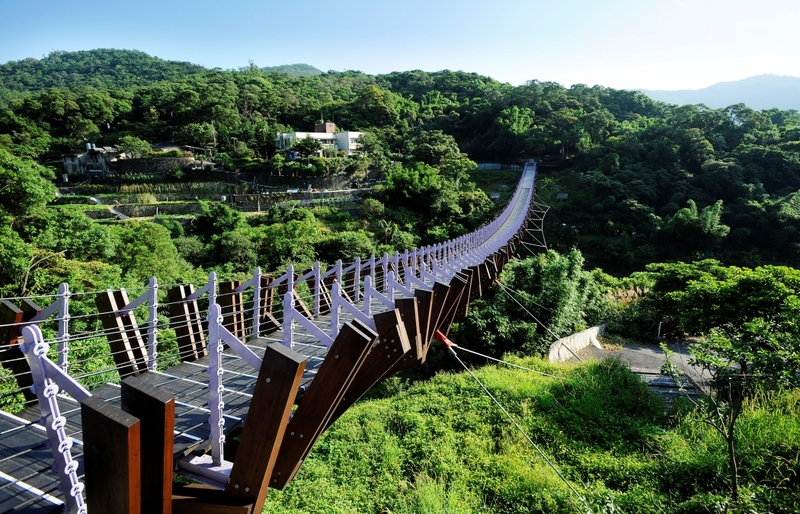 Whilst Neihu, which stands for “inner lake”, is famous for one of the first planned high-tech industry clusters in Taipei, the district is home to several mountainous roads and hiking paths that connect it with neighboring Shilin District and Yangmingshan National Park. 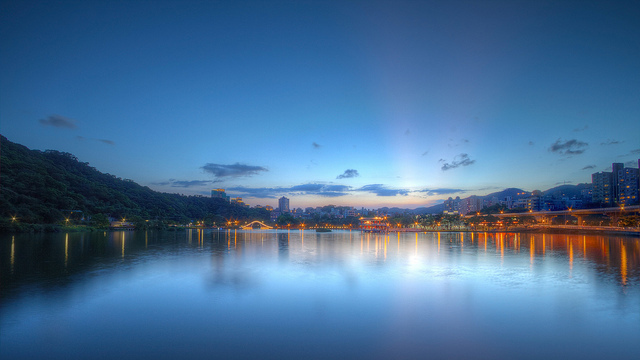 With a serene lake and lush green hills, Dahu Park always inspires a sense of calm and tranquility. Awash with outdoor activities, the park with the 13-hectare lake offers lake cruises as well as fishing opportunities. A variety of flora alternately bloom in the spring and summer, creating a mosaic of color reflected in the lake. The beautiful scenic lakeside view will no doubt please picnickers and those hoping to get in a bit of a workout. This half-park-half-mall entertainment complex boasts not only the Taipei’s largest Ferris wheel on its top floor, but also an all-in-one shopping mall with a spacious department store, supermarket and an IMAX movie theater. 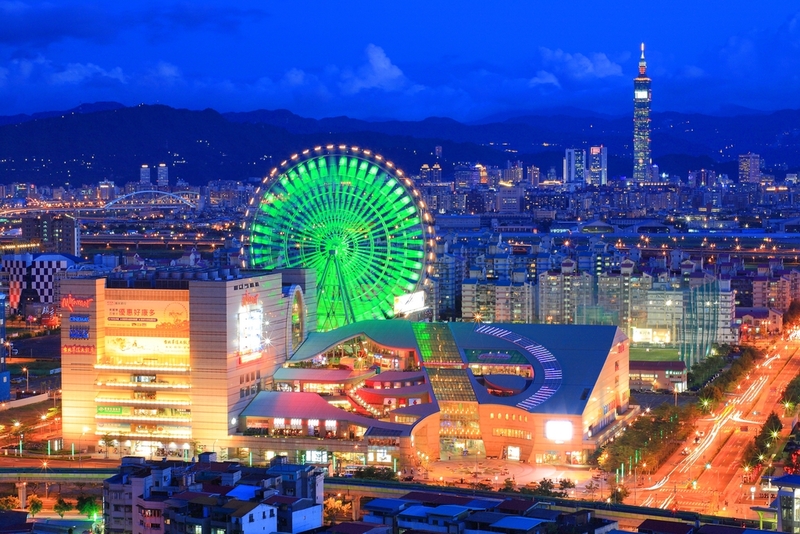 Standing 100 meters high on the mall, the kaleidoscopic wheel affords a panoramic and spectacular view of Taipei City. Just over a kilometer in length, the Bihu Hiking Trail takes hikers back to a time when Neihu was known for its coal production rather than the high-tech firms of today. Every bend in the path unveils more breathtaking views: deep valleys, glittering lakes, barren hills, closing at Yuanjue Waterfall and White Rock Suspension Bridge, designed in the shape of dragon bones and based on the surrounding dragon-shaped mountains. You might even chance on the “long-tailed mountain lady”, the Formosan Blue Magpie—Taiwan’s national bird—on your way. The best-known ginger duck soup restaurant in Neihu, Barway Ginger Duck serves delicious duck in a soup with wine, sesame oil and Chinese medicinal roots. 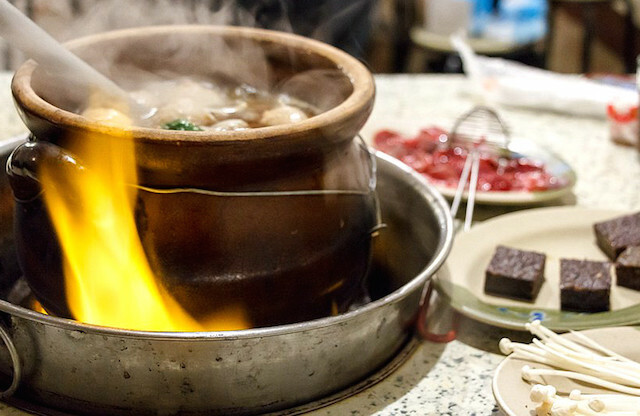 What sets Barway’s ginger duck apart is its strong flavor and the fact that the do-it-yourself stew is cooked over burning coals. The place is small and local but buzzing with activity and will undoubtedly warm your heart on a cold winter’s night. 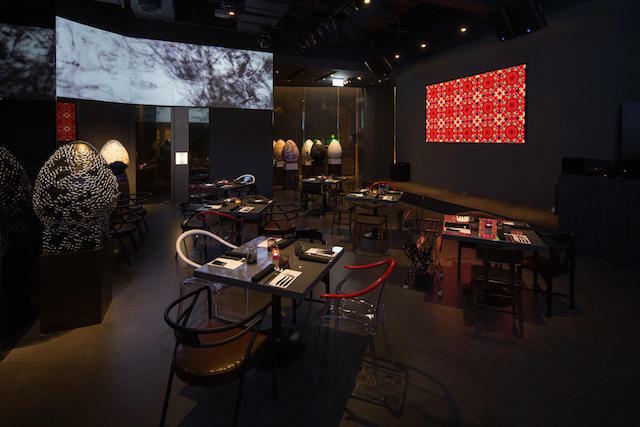 It’s understandable if you confuse the visually exciting TaipeiIng with a theater or an art gallery – its interior designer Jeffery Zee merged Taipei’s history into modernity. The space is arty (yet inviting) to the core, and you’ll find posters, art installations and even multimedia projections. There are well-designed rooms dedicated to city gates in Taipei in days of yore. This Taiwanese restaurant also boasts its inventive food menu, which features top-notch dishes with humorous names inspired by traditional Chinese anecdotes. The chefs skilfully combine Taiwanese cuisine and local ingredients with modern culinary techniques. Dining in TaipeiIng is an all-sensory experience acquiring all you need to know about Taipei and its delectable food scene. 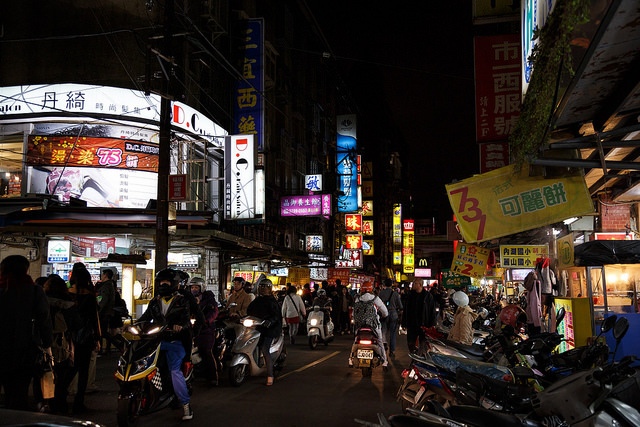 Though it’s less popular than Shilin and Raohe, this smaller but still crowded night market beyond the tourist radar will have you salivating over Taiwan’s premier, and we mean premier, street food specialties from duck blood cake with stinky tofu, spring onion pancakes to handmade aiyu jelly to imagawayaki (車輪餅), but in particular its famous pig blood cake, steamed dumplings and charcoal-grilled fried chicken fillet. For a classy and comfortable night’s stay, La Maison Hotel offers everything and more, providing you with an excellent night in. Simple and comfort driven, Hotel June provides for an affordable stay. A two minute walk away from the MRT station, City Lake Hotel is well established with its elegant and refined rooms.